KOSO that offers performance on another level. 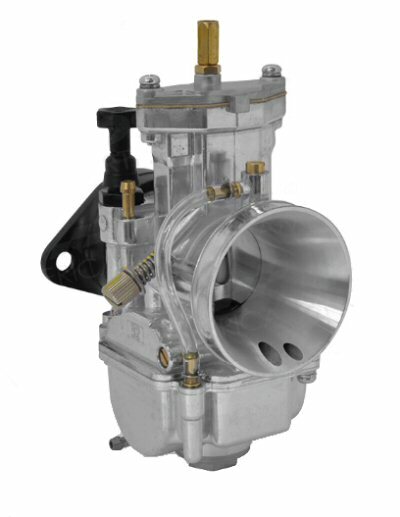 Flatslide manual choke carb that creates the correct velocity to improve air and fuel flow to a CN250 engine or a Linhai 275cc (300) engine found in the Aeolus 300 from Linhai. A performance air filter (UNI Dual) and cable are needed to replace your stock pieces. Carb is a dead ringer for the CF Moto V3 or V5 replacing a run of the mill 30mm carb. 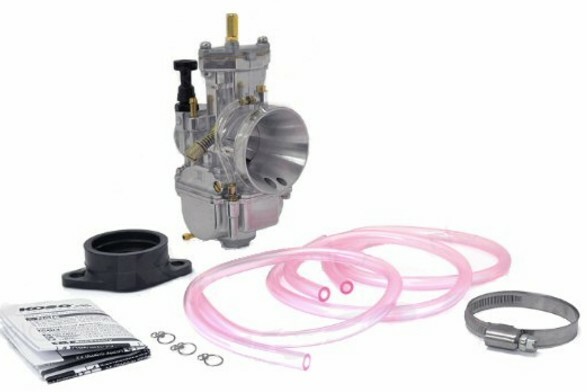 The KOSO 32mm carb offers easy starting and great top end as well as torque. As the carb in the high performance upgrades for Cf Moto V5 adding the Koso carb as well as the Tech torque spring and Dr Pulley sliders takes for a performance ride. See my kits that include air filter plus cable. When upgrading a CF Moto removing the speakers and air box are a must for the best performance. The air box goes anyway but speaker are just one step...you do not have to remove for carb just a suggestion.